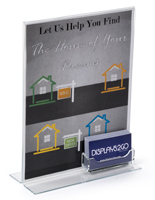 These acrylic desktop signs with business card holder are perfect for placement on a countertop in a real estate agency or school office, or anywhere contact information is handed out. 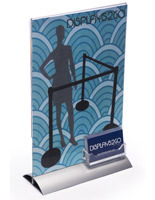 This literature stand is a best seller at this website! 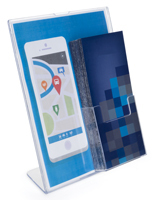 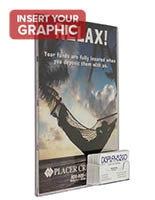 In our line of plastic brochure holders, this plastic signage is side loaded. 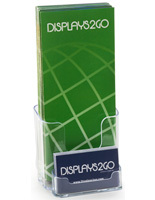 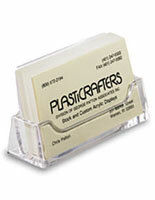 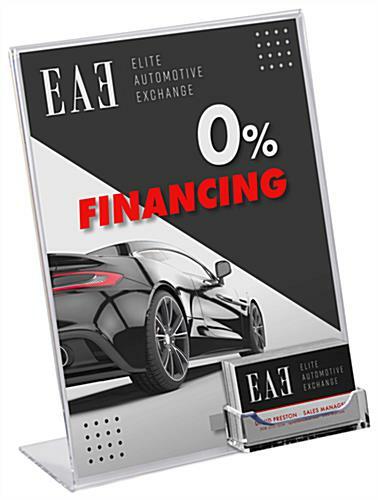 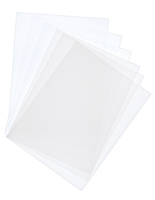 These desktop signs with business card holder, like commercial business frames, are inexpensive ways to advertise. 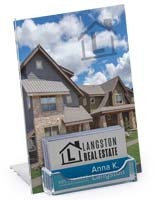 These countertop mountd frames with a 3/4"D contact information pocket are angled. 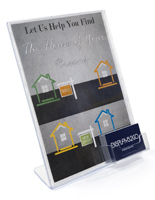 Buy signs with business card holder sized 8.5"W x 11"H and 4"D overall, so printing can be done at home, or in the office. 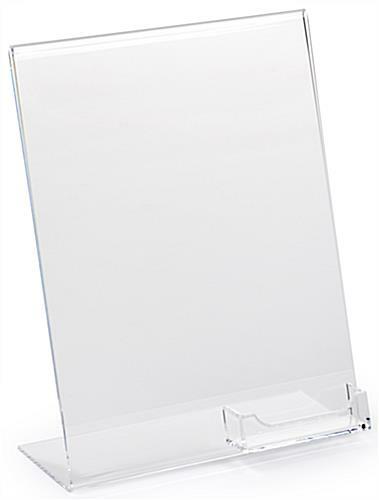 We ordered the frame and business card holder, great product for the price.